Murrysville Therapist: Kathleen Thomas - Therapist 15668. Send A Message To Kathleen. Session Fees: Accept many Insurance and Employee Assistance Programs, $185.00 Initial Session, $95.00 thereafter. 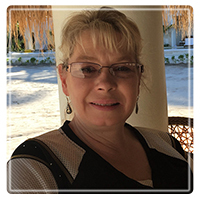 Kathleen Blythe Thomas has 24 years of experience in working with a variety of people including children, adolescents, adults, and families who are experiencing difficulties with transitions in life, mood, anxiety, grief, personality and trauma related problems. As a Licensed Clinical Social Worker, I have provided individual and family therapy to help clients and families achieve symptom relief, develop insight, and create lasting change. My practice uses talk therapy that incorporates Cognitive Behavioral Therapy and Dialectical Behavioral Therapy for solution focused results to improve most situations. When working with people, I provide an individualized assessment of referral concerns and discuss treatment recommendation options in a supportive environment to produce change and results. I use goal planning and homework assignments between sessions to make the most of the time in the sessions and also increase treatment results. I provide ideas for hope and practical change, improving balance and exploring thoughts and feelings related to various problems in life. Many of the stress reducing tools are easy to learn and just take some practice. Some of these tools are: mindfulness (staying in the moment), distress tolerance (crisis survival strategies), emotion regulation (self-care, building positive experiences, and reducing suffering), and interpersonal effectiveness (communicating assertively). I also coordinate my treatment with other treatment providers like physicians, dieticians, case managers, clergy, or members of your family, with your specific permission to improve continuity of care to obtain the best possible results. Among my significant positions of increasing responsibility were case manager, social worker, supervisor of two child and adolescent intensive outpatient programs at University of Pittsburgh Medical Center/Western Psychiatric Institute and Clinic and Director of Outpatient and Adult Outpatient Therapy and Psychosocial Rehabilitation Programs at Chartiers Mental Health Mental Retardation. As a Licensed Clinical Social worker, Katie also has extensive experience working with children, adolescents and adults in inpatient settings, intensive outpatient, and partial hospitalization programs. As an outpatient therapist, Katie provides therapy for individuals with mood disorders, grief, women’s issues, relationship issues, with co-morbid physical conditions such as chronic pain and diabetes. I use a combination of stress management and mindfulness coping strategies. Katie philosophy focuses on the individual, and what strengths they bring to the therapy. In therapy we may look at the environmental factors that may be coming into play that change the equilibrium, no longer work as coping strategies and develop a more functional way of coping in the environment. My approach does not include telling people what to do, but helping them evaluate their options and evaluate results. Clients are responsible for their choices and my role is to coach, point out discrepancies between their words and their behaviors, make suggestions, and teach techniques to try to make the changes they desire. Significant others and family members are included in the therapeutic process as the need is identified. Kathleen Blythe Thomas, LCSW, holds a Bachelor of Science degree in Psychology (BS) and a Master of Social Work (MSW) degree with a concentration in Health/Mental Health and a Specialization in Interpersonal Skills from the University of Pittsburgh. I also belong to the National Association of Social Workers (NASW). I have had Basic and Advanced training in Critical Incident Stress Debriefing, Intensive training in DBT by Marsha Linehan, Ph.D. and Training in EMDR.